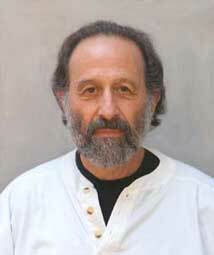 Dr. Chuckrow (born 1936) has studied Taijiquan, Qigong, and other movement and healing arts since 1970 under masters Cheng Man-ch'ing, William C.C. Chen, Elaine Summers, Alice Holtman, Harvey I. Sober, Kevin Harrington, and Chin Fan-siong. He has taught T'ai Chi extensively. He is the author of The Tai Chi Book, Tai Chi Walking, and Tai Chi Dynamics and has written over 33 articles (see http://chuckrowtaichi.com/TaiChiArticles.html). Also, he has produced DVDs on T'ai Chi and Ch'i Kung (see http://www.chuckrowtaichi.com/BooksVideos.html). Robert Chuckrow has a Ph.D. in experimental physics from New York University; and taught physics there and at Cooper Union, Fieldston, and other schools for forty-three years.